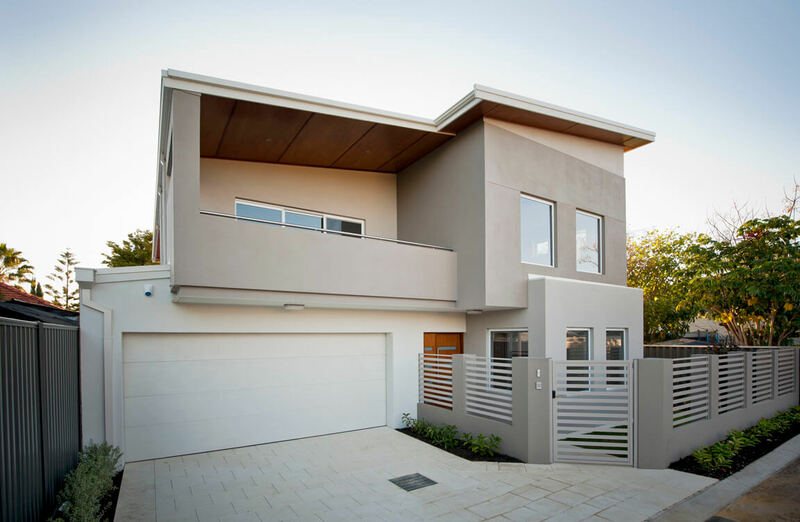 This home was designed and created to face the rear laneway to utilize the views of the park behind the house, with pedestrian access to the main road. 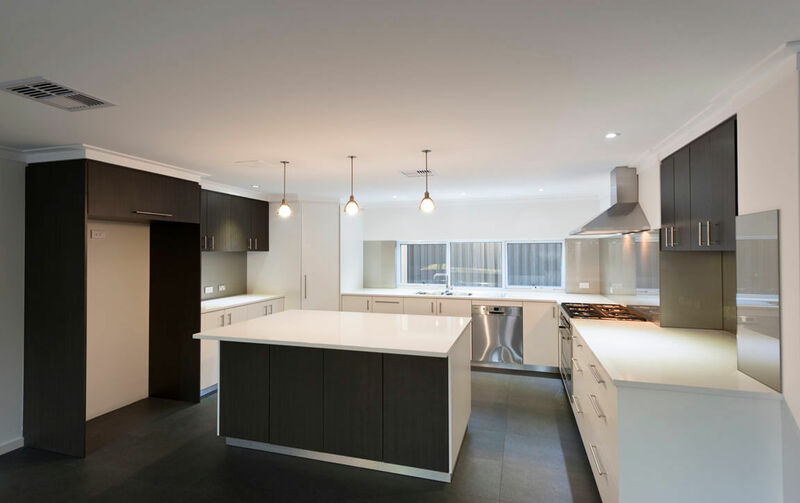 The kitchen features wide bench tops with recessed space for appliances and a large island bench with full cupboard space underneath to exploit the shape and size of the kitchen space. This provides extra storage and working space for a smaller kitchen area. The dining room has recessed ceilings to highlight the room and accommodate the air conditioning. 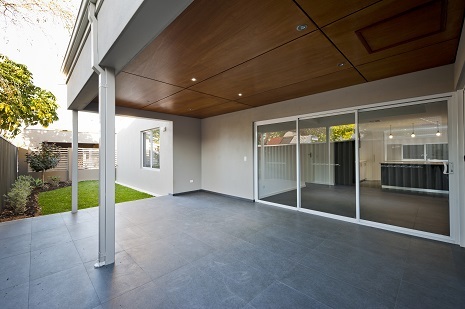 Custom corner sliding doors open up the dining and family rooms to the alfresco to create an open space between the indoor and outdoor areas. A long thin lounge and study area provide the owners with a flexible working space where they can use a partition to create two separate areas or leave it as one large working or activity space. The upper level takes advantage of the park views with an open activity area leading to balcony. This balcony features a brick balustrade to maximise privacy for the owners and plywood stained panels to the ceiling for an inexpensive but polished finish. Each of the minor bedrooms is of an equal size to best utilize space. 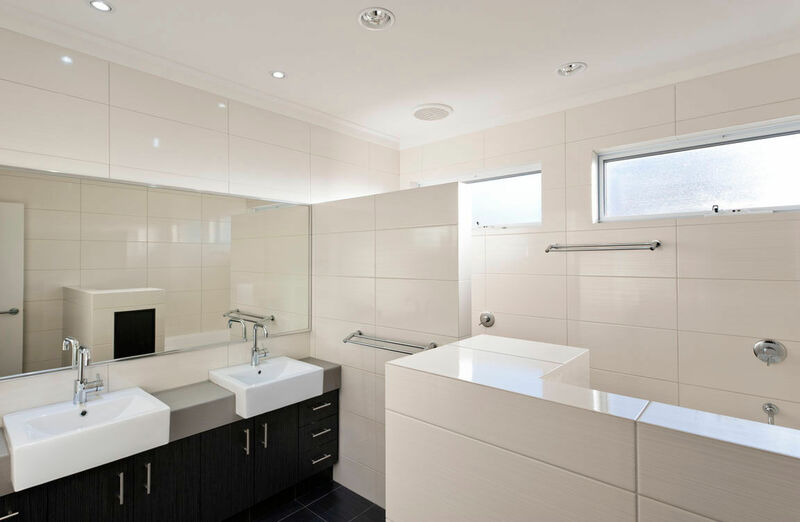 The bathroom upstairs also utilizes a laundry chute for energy saving.